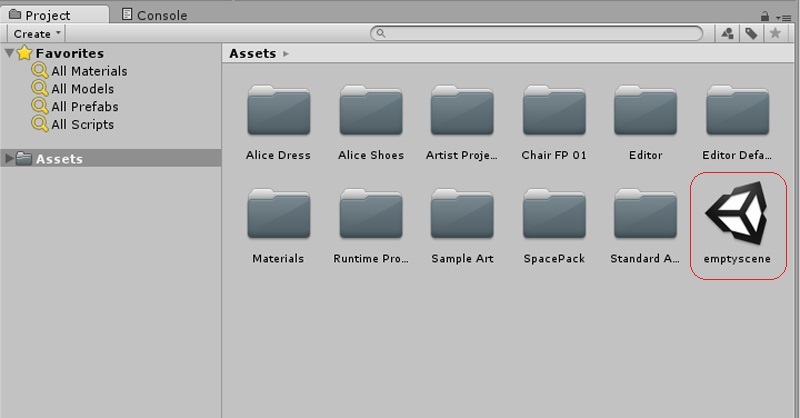 In Unity, Scenes are where you put all of the objects of your game. They can be used to create a main menu, individual levels, and anything else. Think of each unique Scene file as a unique level. In each Scene, you will place your environments, obstacles, and decorations, essentially designing and building your game in pieces. When you create a new Unity project, your scene view will show a new Scene. This is an untitled and unsaved scene. The scene will be empty except for default objects; A main camera and light. To save your scene, go to File>Save Scene from the top menu. Your scene will be saved as an Asset in your Assets folder and appear in the project window. To open a scene, double click the scene asset in the project window.